According to wheat eaters these “do not taste healthy”- in a good way. 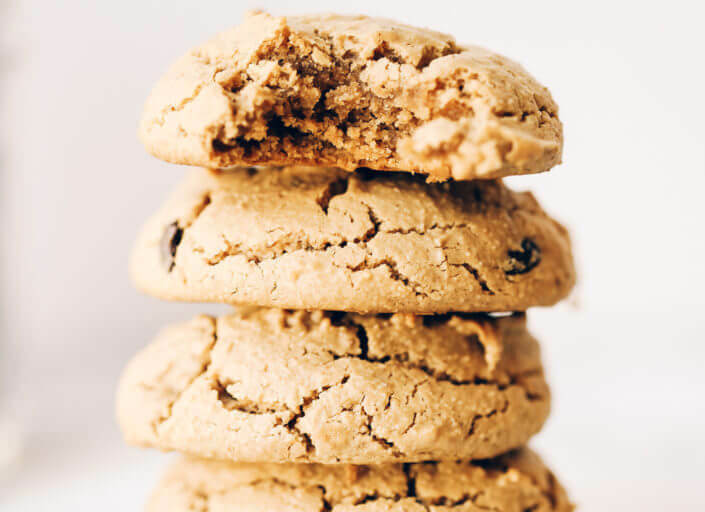 The light, fluffiness of these cookies mixed with that soft, thick, and chewy cookie texture we all know and love is AMazing! Sweetened with 1/4 c maple syrup (paleo, grain free, refined sugar free). I have cashew cookies comin’ at you! This recipe has been in the works for awhile now and I am loving the way they finally turned out! Good things come in small packages and these, my friend, are goood. 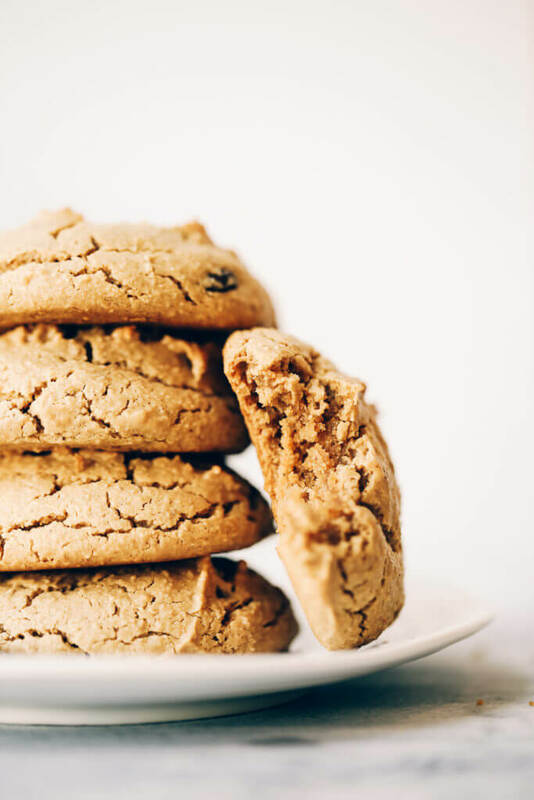 Soft, chewy, thick, and fluffy, but have a dense chewy, pull-apart-perfect-wanna-go-back-for-more-cookie texture and flavor! 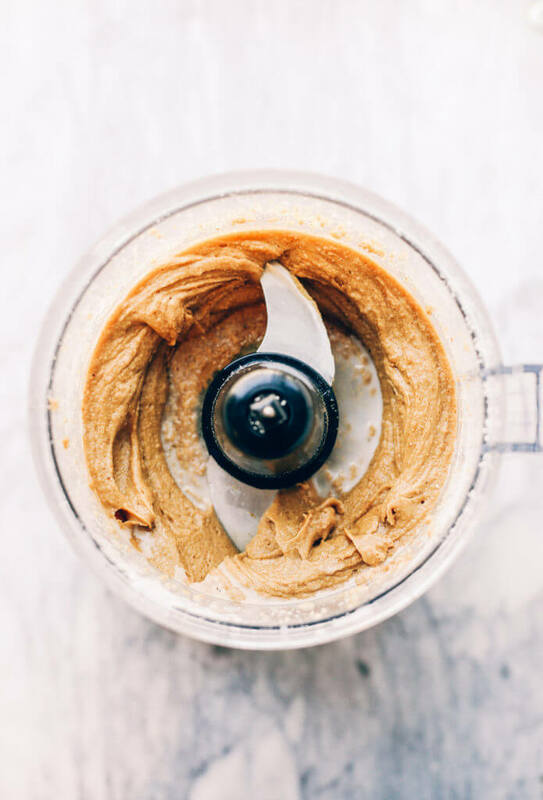 I have been on a major cashew butter swing this month! 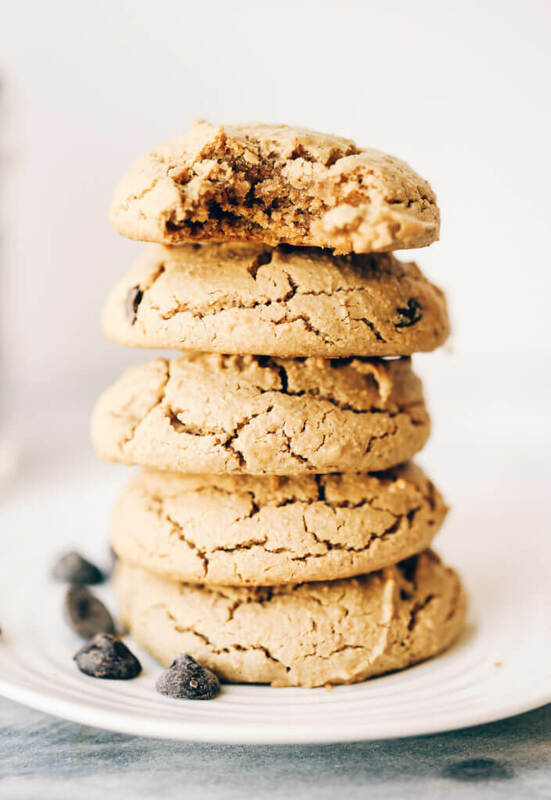 And thanks to my favorite Traders Joe’s cashew butter (not sponsored, just love), these cashew cookies were brought to life with rich nutty and sweet flavor! I have been tweaking this recipe for awhile now; ya know, trying to get it just right. 🙂 That buttery texture, stunning flavor, and all time favorite, soft cookie texture! I think I got it. I hope you love them! Whether or not it’s because of the Christmas season, the fact is, I have been craving cookies… like serious cookie cravings!!! And the only way to solve a problem like that is making a few batches of my favorite cookies, taste testing them with my Mom, and then trying out some more new recipes. 🙂 The only cure for the pain and emptiness in my tummy: cashew cookies. These cookies went incredibly fast! Big family + cashew cookies = an empty cookie jar by mid-day. You’re going to fall in love with the light fluffiness of these cookies! 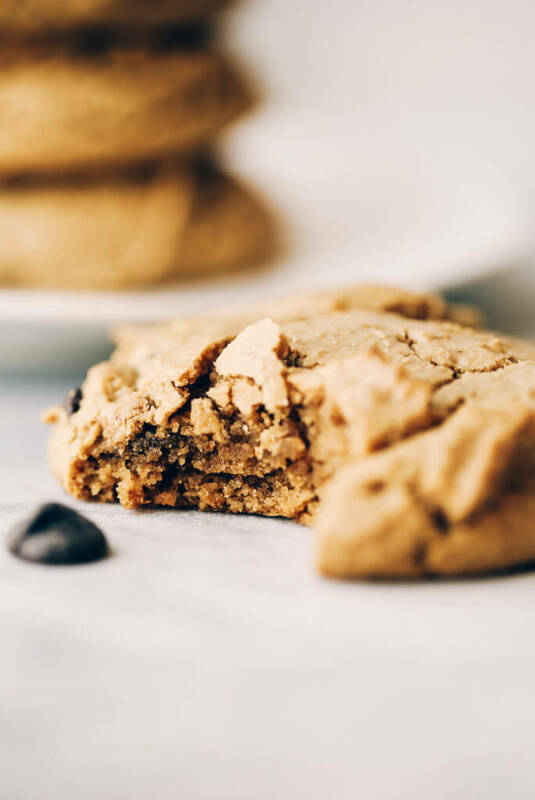 That mixed with that soft, thick, and chewy cookie texture we all know and love is addicting. 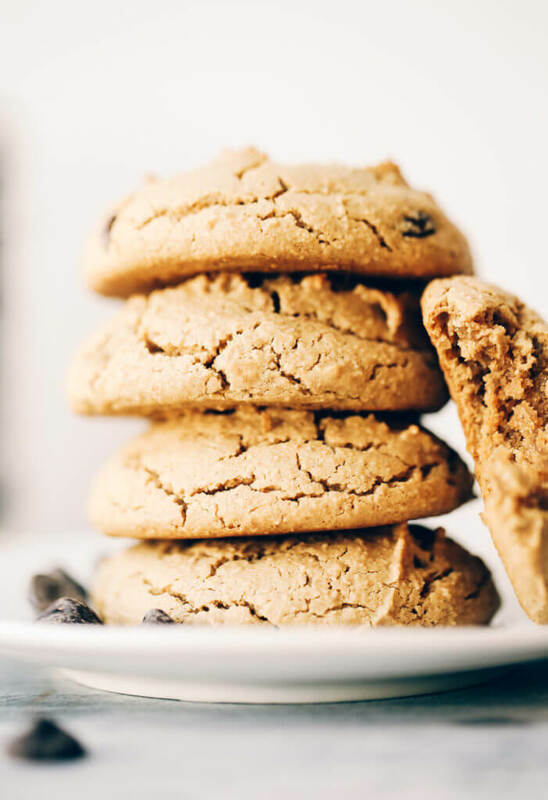 These cookies are incredibly healthy, coming in at a low sugar count of just 1/4 cup of maple syrup per batch! That’s 9 cookies with just 1/4 cup of sugar… and you WOULD NEVER KNOW IT. Dead serious, people. 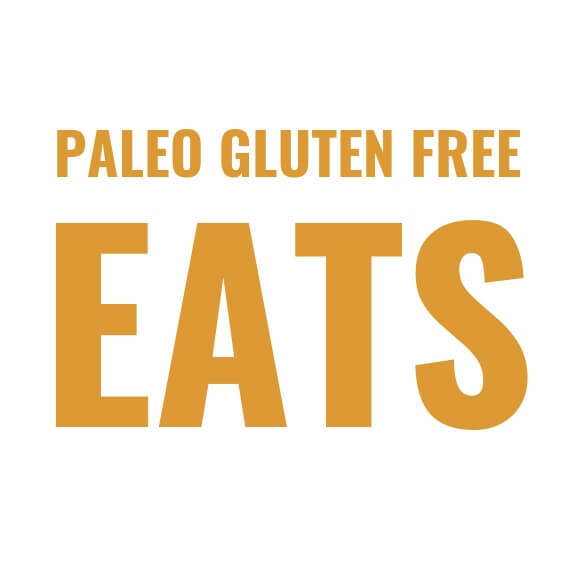 I served these to all my wheat eating relatives, and their direct quote was, “I would never know these are paleo!”. That’s always a win! When I can make healthy taste legit; that’s happiness. According to wheat eaters these “do not taste healthy"- in a good way. 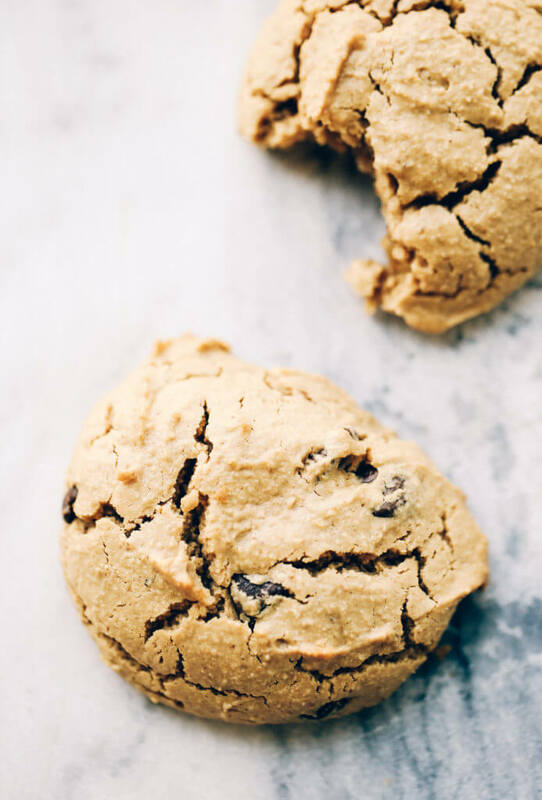 The light, fluffiness of these cookies mixed with that soft, thick, and chewy cookie texture we all know and love is AMazing! Sweetened with 1/4 c maple syrup (paleo, grain free, refined sugar free). In a food processor combine all ingredients for the cookies and blend until smooth. If you want to stir in chocolate chips, now would be the time. Use a small ice-cream scoop and place 9 cookie dough balls on the baking tray and bake on 350F for about 12 minutes until golden. Let the cookies set for 2-3 minutes before eating (so they firm up a bit!). Hi! Recipe looks great! How many chocolate chips do you add to recipe, please? Hi Holly, I would add about 1/4- 1/2 cup, depending on how much chocolate you like :). These were delicious! Perfect for a vegan and her non vegan hubby. I was actually able to get 12 cookies from the recipe. Will be making these again! Thanks for the recipe! Are the nutrition numbers for all or one? Thanks. These look amazing! is the serving size 1? I made these today and my roommate who says she “doesn’t even like cookies” LOVED them. Her and my fiancé ate them right up. (Okay, I helped too). This is the third recipe of yours that I’ve tried since a healthy eating commitment on January 1st and I’ve never been disappointed. The spaghetti squash casserole and sweet potato breakfast bowl helped me keep my sanity through my second Whole 30. Thank you for sharing your creativity and loveliness with the world – your website is certainly a go-to of mine when I want to experiment with a new recipe. I cannot have almonds so made a batch using walnut flour – perfection! I made another batch using hazelnut flour – which is a softer nut flour so added another 1/4 C hazelnut flour, reduced to 1/3 C cashew butter, and added 1 TBSP flax meal. Both are delicious! Thanks for the recipe!!! Glad to hear the worked out and you loved them! I don’t have the arrow root in my pantry. What can I substitute instead?